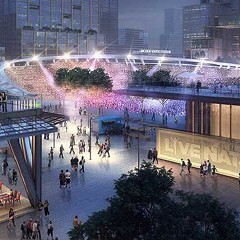 Before the city approves one dime for the massive Lincoln Yards redevelopment project, I propose we have at least one public hearing somewhere outside the north-side community where the project will go. 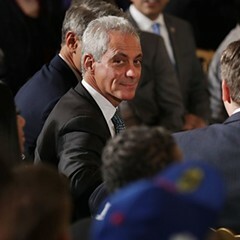 Ideally, the meeting would take place in a blighted, low-income west- or south-side community that could really use some of the millions that Mayor Rahm's getting ready to throw at Lincoln Yards. Maybe it would feature speakers from Black Lives Matter, the Fraternal Order of Police, Karen Lewis, or mayoral challengers like Garry McCarthy, Lori Lightfoot, Paul Vallas, or Troy LaRaviere—or anyone who has the fortitude to ask questions the mayor doesn't want to answer. 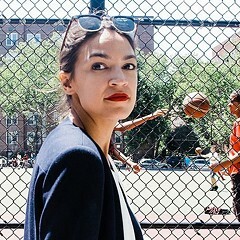 As in—how much will this sucker cost, and what will we get in return? 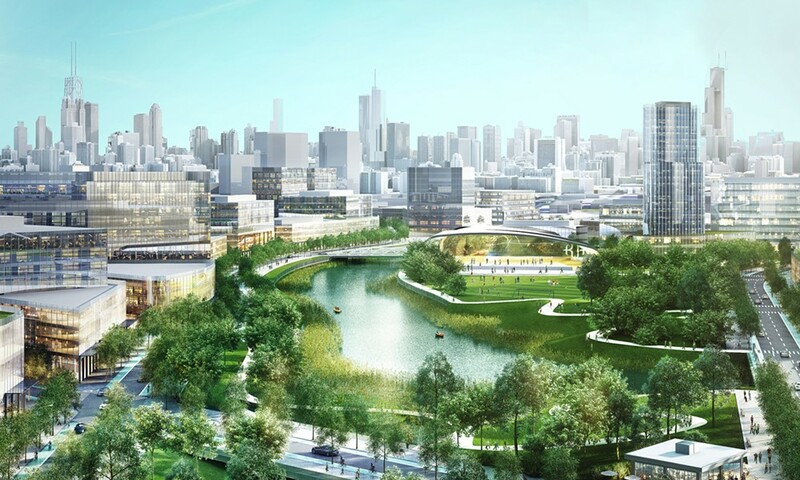 Lincoln Yards is the glitzy $5 billion redevelopment project proposed by developer Sterling Bay for 70 or so acres of land between North and Webster on the North Branch of the Chicago River. To say it's transformational is an understatement. 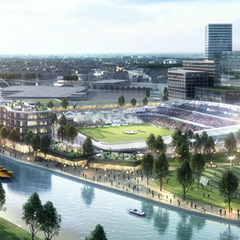 Sterling Bay is proposing to take a vast industrial land of factories, scrap yards, dumps, and warehouses,and turn it into an upscale community of high-rises, apartments, houses, condos, restaurants, bars, shops, a music arena run by Live Nation, and a 20,000-seat soccer stadium intended for a team owned by Tom Ricketts of the Cubs. I'm telling you, everyone's getting in on this. To facilitate the deal, Mayor Rahm already closed the garbage fleet facility across the street from my beloved Hideout—and moved it to Englewood on the south side. Then he sold that vacant fleet facility land to Sterling Bay. Then he used some of the proceeds from that sale to buy land for police training center on the west side. You got to learn to connect the dots, Chicago. Look, I've got nothing against rich developers with big dreams. And I realize Lincoln Yards would probably create hundreds of good construction jobs. But . . . It's not free. It'll cost us. How much I cannot say, because the mayor’s working hard to keep the costs out of the conversation—at least not with an election right around the corner. But the telltale signs are in place, as indicated by this sentence buried near the end of a recent article on the project by Ryan Ori in the Chicago Tribune. "Infrastructure improvements are likely to cost hundreds of millions of dollars or even $1 billion, Sterling Bay estimates. The developers say federal and local funds will be sought to offset much of the cost." Uh-oh. Reach for your wallets, everybody. Most if not all of those "local funds" will likely come from the Cortland/Chicago River tax increment financing district that the mayor very quietly proposed to create last year. As you should know by now, TIF money is property tax dollars diverted from schools, parks, cops, etc. By creating that new Cortland TIF, the mayor will be allowed Sterling Bay and other property owners in the area to essentially divert their property taxes from the schools, parks, police, etc, and pay them for the development of Lincoln Yards. As a result, everyone else will have to pay more in property taxes to compensate for the millions of property taxes that are going to the Cortland TIF. Something you should think about, as you pay your ever-rising property tax bill. That brings me back to my proposal for a citywide public hearing. The city held a public hearing on Lincoln Yards last week at the Near North Montessori School. 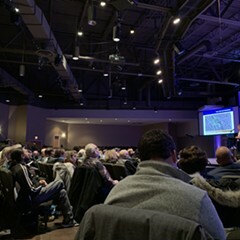 It was filled with hundreds of north-siders, wanting to know about density, traffic, parking, and other issues of local concern. Those are important issues to people who live in the immediate Lincoln Yards area. But the issues that matter to the rest of us in Chicago have to do with the price tag. So before we allow Rahm and the City Council to sign off on dedicating tens of millions for Lincoln Yards, let's hear from special education students, parents and teachers in CPS whether their chronically underfunded classrooms are receiving the money they need. If not? Not one nickel for Lincoln Yards. Let's bring in cops and firefighters to see if they're getting the basic equipment they need to do their jobs. Let's bring in residents from high-crime areas to see if they've been receiving the services they need in the eight years since the mayor closed six mental health clinics. Let's hear from people in Englewood to see whether they think it's fair to give millions to Lincoln Yards and garbage trucks to them. Man, the list of speakers is so long, we may need to have two meetings—or three. Like I said, it's great that developers have big plans for the north side. But let's not pretend the rest of us won’t be footing the bill. Rahm’s pet development project will mean higher property taxes and less money for schools. Good job, Illinois voters. Bravo, Jeff Bezos (in a backhanded sort of way).